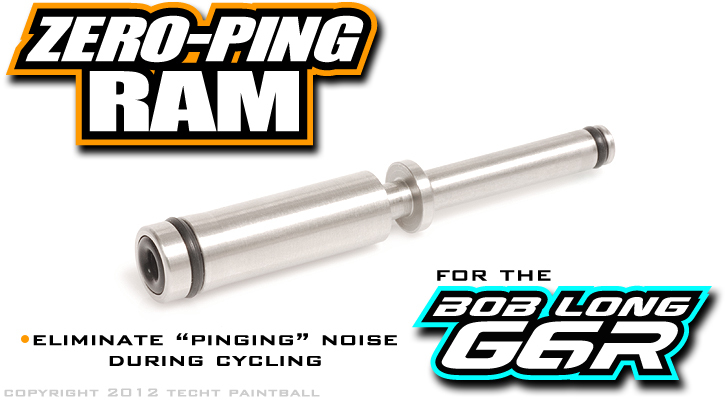 The TECHT Zero Ping Ram for the Bob Long G6R eliminates the "pinging" or metal on metal noise that is typically heard when the marker cycles. The Stock G6R ram makes contact with the back cap on the marker and typically results in this "pinging" noise. Our Zero Ping Ram incorporates a integrated bumper at the end of the ram which would usually be responsible for the added noise, this bumper severely deadens the noise and makes the marker feel and sound tremendously smoother. 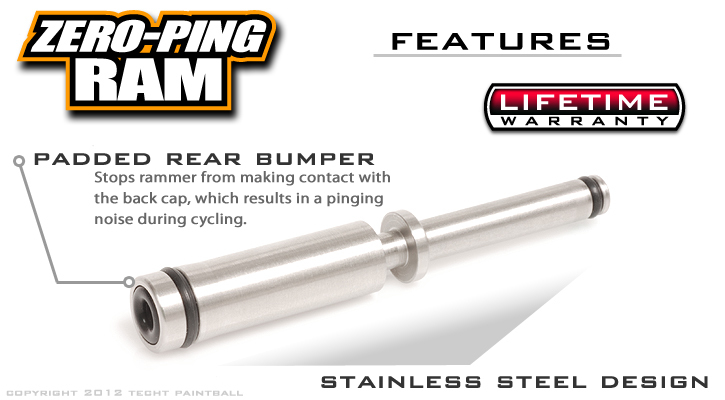 It is a very simple upgrade to install and carries a full TECHT Lifetime Warranty. The Zero Ping Ram will not change the balance of the valve/ram-it is only meant to decrease mechanical "pinging" or noise during firing.